Once again, the seminar will be FREE FOR ATTENDEES, thanks to generous educational grants from our program sponsors. Yale CME will accredit the event, and CME credits will be available to those who attend the full day. CME certificates will be available from Yale CME online after the event. 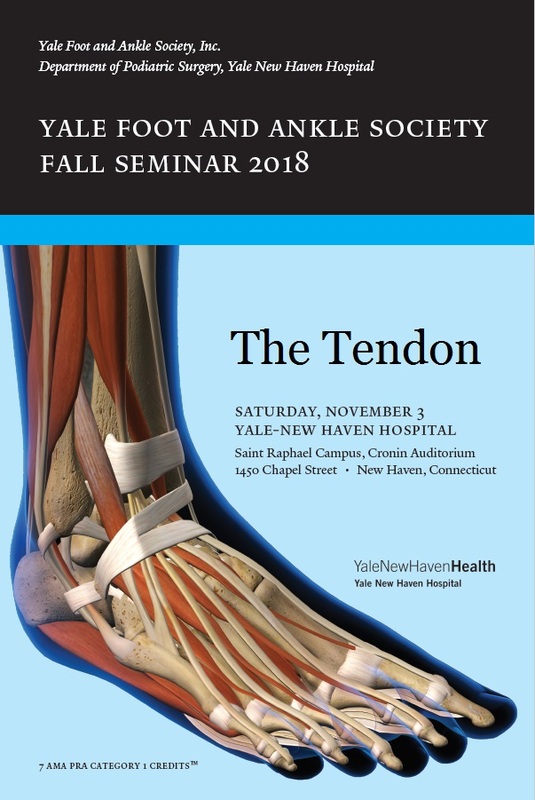 This year's Fall Seminar will focus on diseases and disorders of the tendon, with a concentration on the lower extremity. The event will be held in the Cronin Auditorium at YNHH- St. Raphael Campus. We suggest you park in the George St Parking garage, located at 639 George St, New Haven, CT. Hourly Rates will apply.